ADVA introduced an expanded FSP 3000 open line system (OLS) for data center interconnect (DCI) applications. The modular and disaggregated design of the new OLS works with all coherent and direct detect technologies, such as PAM4. High levels of software-driven automation enable the OLS to adapt to match line conditions and achieve maximum reach without manual intervention. OE Solutions confirmed that its 25Gbps and 10G transceivers are being deployed in the nation-wide roll-out of 5G in South Korea, where the three largest wireless network operators have committed to build nation-wide networks that will serve 80% of the population by the end of 2020. The nationwide rollout is expected to entail more than 1M optical transceivers of various types at a cost exceeding $400 million. OE Solutions said the deployments include both 10Gbps and 25Gbps transceivers for the fronthaul connection utilizing a mix of CWDM and DWDM to maximize the utility of the existing fiber plant. 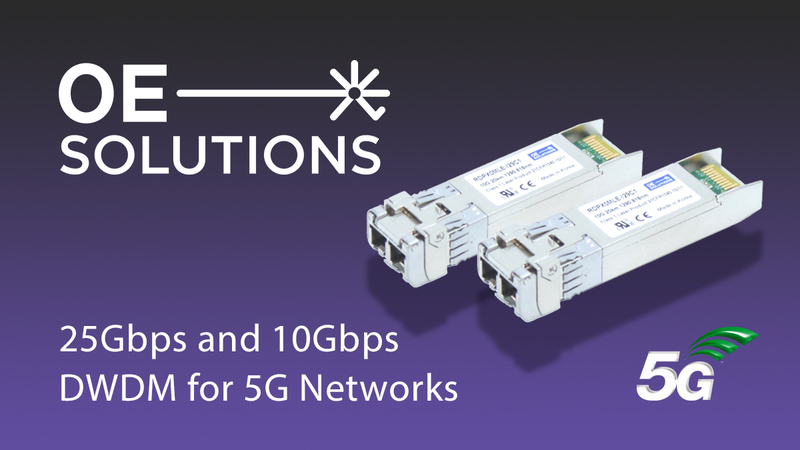 OE Solutions, which is a major supplier of transceivers for both data rates, have been delivering more than 2,000 units of 25Gbps LWDM transceivers per week to support the rapid roll-out and plan to increase the capacity further. 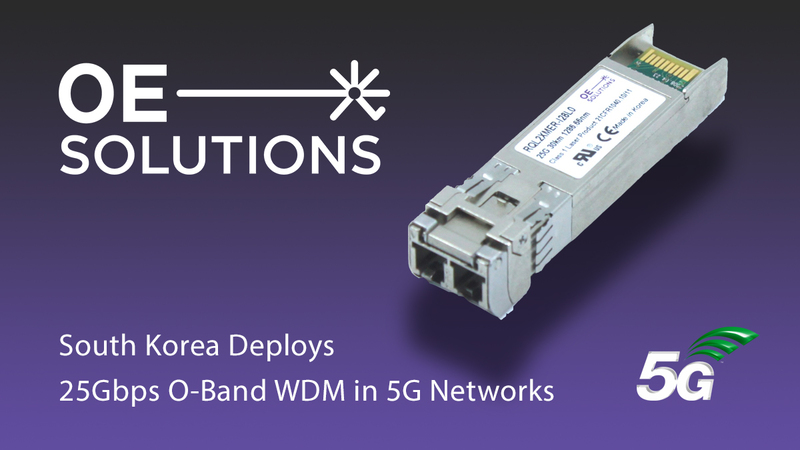 Custom-grid WDM transceivers in the O-band, such as LWDM (utilizing the LAN wavelength grid), offer capital and time-to-market advantages by allowing coexistence of 5G with other services on the existing fiber plant. “OE Solutions’ customer support and custom transceiver design capabilities are critical for KT to lead the way in with our nation-wide deployment of an economical 5G wireless network infrastructure”, said Mr. Lee, Director of Network Strategy at Korea Telecom, “Their focus on 25Gbps transceivers for wireless applications matches KT’s goal of offering state-of-the-art wireless services that can scale and satisfy the bandwidth requirements as 5G matures”. “We are pleased to work very closely with the Korean network operators on the roll-out of their nation- wide 5G network”, said Walter Lee, Head of Product Management and Strategy of OE Solutions, and continued “OE Solutions has been deeply involved with previous generations of wireless deployments in Korea, which has honed our skills anbps d built the required expertise to meet the demanding requirements of the rapidly evolving wireless infrastructure. OE Solutions introduced 10Gbps and 25Gbps DWDM optical transceivers for the O-band and C-band, respectively. These Industrial-Temperature rated (IT) transceivers, together with the company's previously released 25G LWDM optical transceiver, increase network operators’ options for leveraging wavelength multiplexing and economically deploy new wavelengths on existing fiber plant and serve added 5G radio heads with minimal changes to the optical architecture. OE Solutions said its growing portfolio of 10Gbps and 25Gbps offers higher spectral efficiencies with DWDM transceivers in the O-band in addition to the more conventional use of DWDM in the C-band. These products not only increase the information density in a band, such as the O-band for example, but also offers an elegant migration path by leaving connections in other spectral bands of the same fiber unaffected. “OE Solutions’ rapidly growing portfolio of 10Gbps and 25Gbps WDM transceivers helps Samsung provide more creative optical solutions for the 5G wireless fronthaul network”, said Mr. Seo, Director of Development at Samsung, adding “These new transceivers allow us to better tailor 5G network architectures to our customers’ specific situations and more efficiently utilize existing fiber plant, which saves our customers money”. 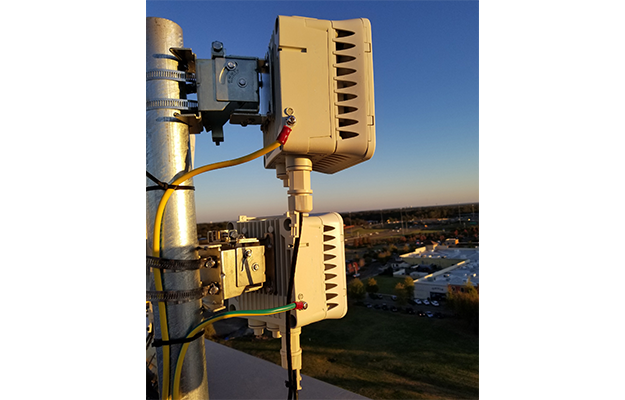 ADTRAN has extended its fixed wireless access portfolio with the addition of new millimeter wave (mmWave) mesh and point-to-multipoint (PTMP) solutions for supporting dense 5G networks. The company confirmed that it is working with a number of Tier 1 carriers and regional service providers in the U.S. and EMEA to design, deploy and manage access and backhaul networks utilizing mmWave/mesh/SON technologies. Telefónica has installed 5G in Camp Nou, Barcelona's legendary football stadium using massive MIMO active antennas in the 3.5GHz. Ericsson is the main radio supplier for Telefónica Spain, including the city of Barcelona. Currently, the Camp Nou stadium has a dedicated 3G and 4G coverage system based on Ericsson Micro Radio Units and the Radio Dot System in the VIP areas. This solution makes Camp Nou one of the best stadiums in Europe in terms of mobile capacity and performance. In addition, Telefónica and Ericsson with other partners announced a 5G-based television production solution that enables immediate TV coverage with professional quality. 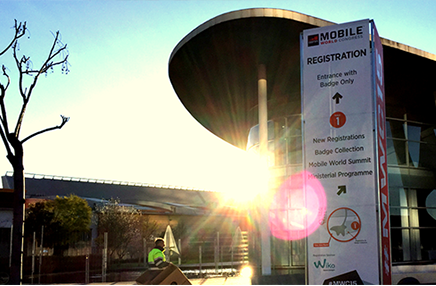 ADTRAN joined in Telefónica’s 10G PON demonstration at Mobile World Congress in Barcelona. The demo leveraged an SDN-Enabled Broadband Access (SEBA) architecture, including a virtualized control plane, to deliver converged residential, business and mobile backhaul services. ADTRAN supplied its SDX 10G PON OLTs to aggregate multi-vendor ONTs as part of the demonstration. ADTRAN SD-Access 10G PON offers an open, disaggregated network by utilizing virtualized access software from the Open Networking Foundation (ONF). This capability enables multiple OLT and ONU vendors to seamlessly interoperate in any environment and allows Telefónica to more easily accelerate the deployment of programmable, software-based service architectures. Investments in cable infrastructure is projected to reach $2 billion by 2023, according to a newly published report by Dell’Oro Group. Clearfield introduced a new line of FieldSmart Fiber Active Cabinets for outdoor enclosures. The new designs blend fiber-optimization with capacity for any active components in a Telcordia GR-487 tested outdoor enclosure for emerging applications like Multi-access Edge Compute (MEC), requiring low-latency fiber connections at the edge of the network in a secure location. The FieldSmart Fiber Active Cabinet (FAC) is designed for modularity and flexibility while maintaining a maximum cooling capability for the active electronics investment. The outdoor cabinets are designed for the harshest outdoor conditions, providing a sealed internal environment where external air and humidity are completely isolated from the electronic equipment. The FieldSmart FAC product line includes the following elements. FieldSmart FAC 400 features a 19” vertical frame, accommodating up to 4RU of active electronics and 192 internal fiber distribution ports for deployment. FieldSmart FAC 900 features a 19” vertical frame that can accommodate up to 9RU of active electronics and up to 576 internal fiber distribution ports for deployment. FieldSmart FAC 3200 features two front and rear 16RU 23” frames that can accommodate up to 32RU of active electronics while providing up to 432 internal fiber distribution ports for deployments. FieldSmart FAC 5400 features two swing frame front and rear 27RU 23” frames that can accommodate up to 54RU of active electronics and provides up to 960 internal fiber distribution ports for deployments. Qualcomm is introducing a development kit for mesh Wi-Fi networks, qualified by Amazon, to integrate the Amazon Alexa Voice Service (AVS). This helps manufacturers to quickly create mesh Wi-Fi systems with Alexa for bringing the convenience of voice control to connected devices throughout the home. Voice control is becoming a new way for consumers to be able to more easily manage their smart home devices. The addition of Alexa, integrated via the ClearVoice far-field voice enhancement software solution from Meeami Technologies, makes it easy for mesh networking manufacturers to provide leading voice capabilities to their customers layered on the Qualcomm Wi-Fi mesh platforms. “Mesh networks have become the new standard to support the best possible connected experience in the home. By adding Amazon’s advanced voice capabilities through the Alexa Voice Service, we are unlocking new opportunities for customers to enable exciting new smart home experiences controlled with the simplicity of voice,” said Nick Kucharewski, vice president and general manager, Wireless Infrastructure and Networking, Qualcomm Technologies, Inc. “By integrating our mesh platform with Alexa, we create a powerful development kit that is designed to enable device manufacturers to quickly and economically bring innovative new products to market and meet the development speed of this fast-growing market. Infovista announced new versions of its TEMS Investigation and Planet network planning and test solutions for mobile operators. With this release, Infovista introduces support for 5G smartphones based on the Qualcomm X50 chipset. With initial support of Qualcomm based devices and plans for agnostic device support, customers will be able to choose between different test devices and scanners to support 5G NR network testing. This allows early adopters of 5G NR to gain insight into the performance of different smartphones and their interaction with real 5G NR networks ensuring QoE for subscribers. Infovista is now delivering this solution to a number of 5G NR Mobile Operators and to several global infrastructure suppliers. Infovista also announced a new version of its RF planning tool, Planet. Planet now provides customers with new, unprecedented levels of accuracy and performance including, enhanced 3D capabilities, and its ability to use big data to predict data traffic. Infovista has also improved accuracy by producing high-definition GeoData and 5G antenna patterns. NTT DOCOMO Ventures has made an equity investment in Shoof Technologies, a start-up based in Sunnyvale, California that is developing advanced wireless technology designed for the Industrial IoT. Shoof claims its technology for asset monitoring and tracking overcomes the unreliable nature of current wireless technology. It offers a cloud platform and equipment such as base stations and tags to track assets in motion in any location in real time. It is applicable to a wide range of industrial markets with unmatched advantages, including scalability, ability for both indoor and outdoor tracking, a long communication range, blockchain-capable security authentication, open-network infrastructure, and is free of maintenance. Airstream, maker of the iconic “silver bullet” travel trailer, is working with AT&T to offer more 4G LTE data plans specifically for Airstream vehicles. The two companies already enable 2019 Airstream Classic travel trailers with embedded 4G LTE connectivity for Wi-Fi hotspots and more. A new premium solution includes an external, high-gain roof-mounted antenna, mobile router, and an embedded GPS locator. Fujitsu Network Communications announced commercial availability of the 1FINITY T600 blade, a next-generation optical transponder capable of 600 Gbps single wavelength optical transmission in data center interconnect (DCI) and 5G transport networks. The 1FINITY T600 blade leverages high-performance coherent DSP1 technology for optimized reach, performance and power consumption. The T600 delivers 600 Gbps single-wavelength transmission using 64QAM modulation at 75 GHz channel spacing. For campus, metro and long-haul DCI networks, the flexible T600 provides programmable modes from 200 to 600 Gbps, as well as improved optical performance and extended reach across all configurations supported by innovative modulation format and various FEC and baud rates. This new transponder also enables the highest spectral efficiency in the industry, achieving up to 76.8 Tbps per single fiber by extending C-band transmission to the adjacent L-band, with comparable performance. Fujitsu also notes that the core system software of the 1FINITY T600 offers open management interfaces and tools to allow for the highest levels of automation. Standard interfaces are complemented by newer M2M interfaces such as RESTful APIs, NETCONF and gNMI (gRPC Network Management Interface). To embrace various open industry initiatives the T600 supports YANG models from OpenConfig, Open ROADM and IETF. Operational automation of the T600 is further extended by supporting zero-touch provisioning (ZTP), streaming telemetry and LLDP snooping. Infinera introduced a Disaggregated Cell Site Gateways (DCSG) that conforms to the Telecom Infra Project (TIP) DCSG specification, which was developed by the Open Optical & Packet Transport (OOPT) Project Group within TIP in collaboration with Tier 1 global mobile operators, including Vodafone, Telefonica, TIM Brasil, BT and Orange. 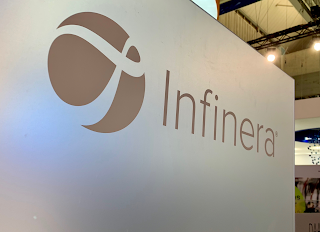 "We are pleased to welcome Infinera to our DCSG open networking ecosystem, which is expanding the scope and value of disaggregation beyond optical transport networks,” said Luis Martin Garcia, Co-Lead, Disaggregated Cell Site Gateways project group, TIP. “Open networks can help operators as they build out 5G infrastructure by reducing costs, expanding and leveraging automation so they are more agile in introducing new services." Bharti Airtel is deploying Nokia's Nuage Networks VSP solution in 15 circles (service areas) in the northern and southern part of the country to automate its data center networks. Once deployed, the Nuage Networks VSP solution will allow Airtel to provide Voice over LTE (VoLTE) and Mobile Edge Computing (MEC) applications. NeoPhotonics announced the general availability of a new ultra-compact FVOA-9000 MEMs based variable optical attenuator targetted at mini-EDFAs, pluggable coherent modules and compact line cards. 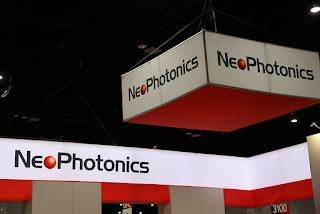 The new FVOA-9000 builds on NeoPhotonics' FVOA-5000/8000 product line which has been in volume production for more than a decade. The new device improves key performance measures while achieving a significant size reduction of nearly 70% in the global component footprint. NeoPhotonics says the new FVOA-9000 achieves response times of less than 2 milliseconds along with lower wavelength dependent loss, making it well-suited for transient suppression in EDFA optical amplifiers. In addition to a reduction in the size of the TO can hermetic package, the FVOA-9000 does not require an external ESD protection board, further decreasing its overall use footprint in system design. Its compact size is a significant advantage when used in next-generation applications where size is a critical factor, such as Mini-EDFAs, compact pluggable coherent modules and compact line cards and transponders. “We are very excited to see very strong customer adoption of this new compact FVOA-9000 and enhancing our long-running line of MEMS VOAs, continuing our commitment to optical components for system control,” said Tim Jenks, Chairman and CEO of NeoPhotonics. “This exciting innovation expands our existing line of passive multiplexers, demultiplexers and power monitors to support next-generation systems for telecom, data center interconnects and 5G wireless,” continued Mr. Jenks. Saudi Telecom Company (STC) signed a deal to deploy a 5G network with Nokia's end-to-end 5G solutions. Financial terms were not disclosed. Nokia's equipment, software and services will be used to set up a 5G network first in the western and southern part of Saudi Arabia, including the holy cities of Makkah and Madinah. The rollout phase is already ongoing and is expected to be completed by end of 2020. Nokia's full 5G portfolio will provide STC subscribers with ultra-high bandwidth and low latency services, as well as new applications in areas such as virtual reality, augmented reality and artificial intelligence. The deal involves multiple firsts in STC's network, including the introduction of cloud RAN and AirScale, as well as the deployment of the Wavence platform in the microwave and the AirScale indoor radio. Nasser Al-Nasser, STC Group CEO, said: "We are excited to work with Nokia on the Aspiration project which will help us realize our dream to be the first one to launch 5G services in the region. Once completed our subscribers will be able to enjoy innovative high bandwidth consuming use cases. The project underscores our support and commitment to the National Transformation Plan 2020 and the Government's Vision 2030 to drive Saudi Arabia's digital transformation into a knowledge economy. The leadership of our longstanding partner, Nokia, in the development of 5G is crucial for our launch of 5G services." Cisco CEO Chuck Robbins and Telenor Group CEO Sigve Brekke signed a Joint Purpose Agreement 2.0 expanding their collaboration across cybersecurity, cloud and the digital workplace. Telenor will also explore Open Virtualized RAN (vRAN) solutions for 5G with Cisco. 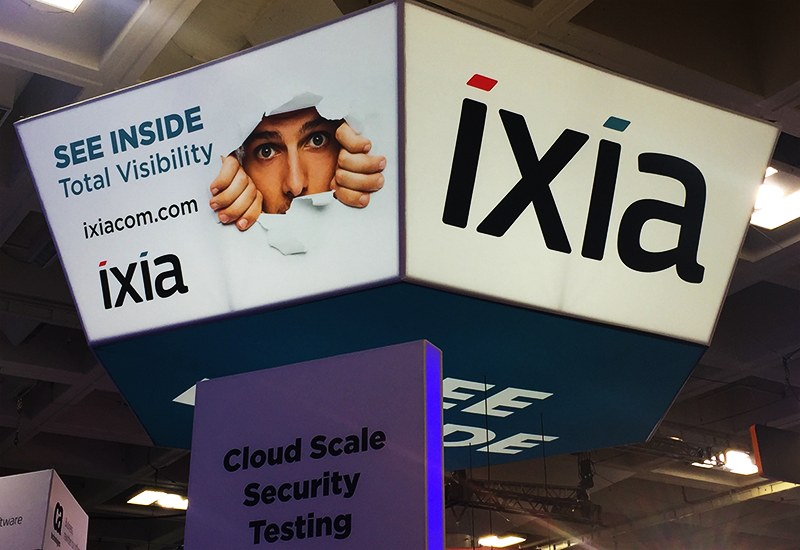 Ixia is introducing a new scalable 5G User Equipment (UE) Emulation Solution that provides network equipment manufacturers and solution providers with end-to-end, scalable testing of 5G base stations to ensure that devices and network services meet customer expectations for latency, reliability, and high-speed broadband at scale. “The industry needs a scalable and flexible UE emulation solution that simulates complex network configurations and real subscriber behavior,” said Mark Pierpoint, president, Ixia Solutions Group, Keysight Technologies, Inc. “Keysight’s XAir3 UE platform successfully enables network equipment manufacturers and service providers to test for a wide range of demanding requirements and a variety of configurations for 5G to ensure their products and services meet the promises of 5G -- low latency, ultra-reliability and high speed at scale. We're pleased that Keysight provides the solution for NTT DOCOMO to validate 5G base station." Rambus released a 32G Multi-protocol SerDes PHY on GLOBALFOUNDRIES 22nm FD-SOI (22FDX) platform for high-volume, high-performance applications. Rambus' SerDes PHY delivers data rates up to 32 Gbps and supports multiple standards including PCIe 4.0, JESD204B/C, CPRI, and Ethernet. The device is designed to meet the performance requirements of high-speed wireline, wireless 5G infrastructure & data center applications. Huawei Technologies and Huawei Device Co. have become licensees to MPEG LA’s AVC Patent Portfolio License. As a result of this agreement, all legal disputes related to patent enforcement actions brought by patent holders in MPEG LA’s AVC License against Huawei have been resolved. AT&T is working with Microsoft to test Azure cloud capabilities at the edge of the AT&T 5G network. The testing aims to substantially reduce latency and improve user experience by deploying advanced cloud services in specific geographic locations closer to business sites. 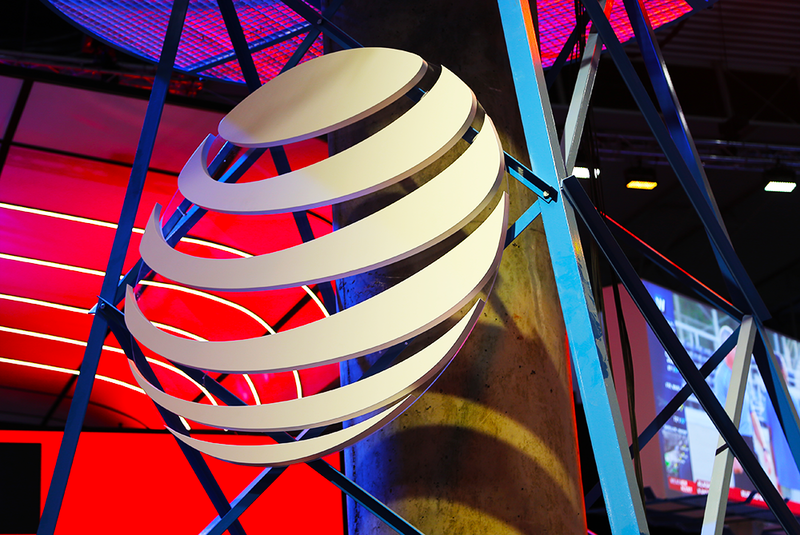 Specifically for this trial, network edge compute (NEC) capabilities are deployed at the AT&T Foundry in Plano, Texas. The companies are working with Israel-based Vorpal, a start-up building a drone detection and geolocation tracking solution. The service can be useful to commercial drone monitoring, airports, public safety law enforcement agencies and others needing the ability to identify drone and operator locations in near-real time, enhancing monitoring and mitigation. Mobile 5G - AT&T is on track to launch a standards-based nationwide mobile 5G network in early 2020, with seamless handoffs between Wi-Fi, LTE and 5G. The network is currently active in parts of the 12 cities. Fixed Wireless - within the next few weeks, AT&T Wireless Broadband will offer multiple speed tiers up to 50 Mbps. This solution builds on AT&T's fiber distribution -- over 8 million business customer locations sit within 1,000 feet of the company's fiber/ Nearly 2.2 million locations are currently connect with fiber today. Edge Computing -- AT&T Multi-access Edge Compute (MEC) uses the software-defined network to enable faster access to data processing, and gives flexibility in how businesses manage their cellular traffic through on-premise hardware and software. With MEC, businesses can process low-latency, high-bandwidth applications closer to where they’re used to help create new outcomes and capabilities. Intel is introducing an FPGA-based acceleration card for 5G core and virtualized radio access network solutions. The Intel FPGA Programmable Acceleration Card N3000 is designed to accelerate network traffic for up to 100 Gbps and supports up to 9GB DDR4 and 144MB QDR IV memory for high-performance applications. Programmability and flexibility of an FPGA allow customers to create tailored solutions by utilizing reference IPs for networking function acceleration workloads such as vRAN, vBNG, vEPC, IPSec and VPP. Affirmed Networks is using Intel’s FPGA PAC in a new solution for 5G core network (CN)/evolved packet core – a 200 Gbps/server that provides smart load balancing and CPU cache optimizations. Rakuten, the soon to be the operator of Japan’s newest mobile network, is including Intel x86 and FPGA-based PAC for acceleration from the core to the edge to provide the first end-to-end cloud-native mobile network. Intel FPGA PAC N3000 is the distributed unit accelerator next to Intel® Xeon Scalable processor where Layer 1 functions, such as forward error correction and front haul transmission, are offloaded onto an Intel FPGA. “As the mobile and telecommunications industry gears up for an explosion in internet protocol traffic and 5G rollouts, we designed the Intel FPGA PAC N3000 to provide the programmability and flexibility with the performance, power efficiency, density and system integration capabilities the market needs to fully support the capabilities of 5G networks,” stated Reynette Au, Intel vice president of marketing, Programmable Solutions Group. NeoPhotonics introduced Class 50 versions of its Micro-Modulator (CDM) and Coherent Receiver to its suite of High Bandwidth Coherent components. 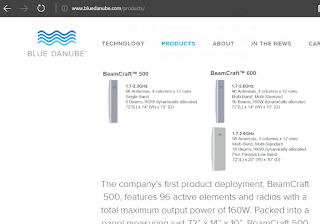 The new devices enable 800G+ wavelengths over data center interconnect (DCI) distances. Class 50 Coherent components improve on the currently shipping Class 40 components, and allow increasing the symbol rate from the current 64 Gbaud rate to market leading 90-100 Gbaud rate. NeoPhotonics said its new Class 50 components for 100 GBaud transmission are designed to work with the emerging new generation of coherent Digital Signal Processors based on the 7 nanometer Silicon process node and triple the symbol rate over standard 100Gbps (32 GBaud) coherent systems. Higher symbol rates increase data capacity while maintaining superior optical single to noise ratio (OSNR), spectral density and reach performance. All of these components are available in compact form factor packages suitable for use in pluggable modules and compact daughter cards. Class 50 CDM: NeoPhotonics Class 50, polarization multiplexed, quadrature coherent driver modulator (CDM) features a co-packaged InP modulator with a linear, high bandwidth, differential driver, and is designed for low V-Pi, low insertion loss and a high extinction ratio. The compact package is designed to be compliant with the form factorof the OIF Implementation Agreement #OIF-HB-CDM-01.0. Class 50 Micro-ICR: NeoPhotonics Class 50 High Bandwidth Micro-Intradyne Coherent Receiver (Micro-ICR) is designed for 90-100 GBaud symbol rates, tripling the rate of standard 100G ICRs. The compact package is designed to be compliant with the OIF Implementation Agreement OIF-DPC-MRX-02.0. 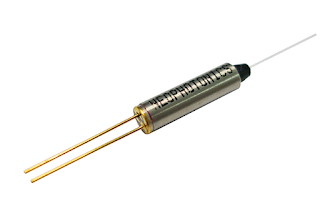 In addition, NeoPhotonics has introduced a “Nano” ultra-narrow linewidth external cavity tunable laser, which cuts the size approximately in half compared to current Micro-ITLAs, while featuring industry leading linewidth with low electrical power consumption. 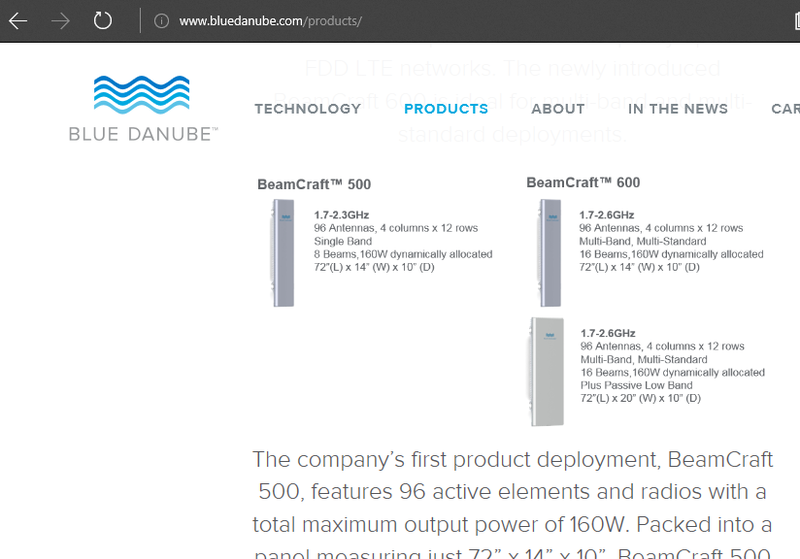 “We are currently providing our customers with a matched suite of high speed Class 40, 64 Gbaud, optical components to support current 600G per wavelength systems, and the addition of Class 50 versions will continue to support our customers as they move to 90-100 Gbaud and nearly 1 Terabit per wavelength,” said Tim Jenks, Chairman and CEO of NeoPhotonics. “As new generations of electronics become available, it is crucial that the optical components are available to complete the suite, in this case realizing near 1 Terabit per second on a single wavelength,” continued Mr. Jenks. Source Photonics, a leading supplier of optical components and transceivers, has opened a new fabrication facility in Jintan, China to support its global growth. The new Jintan facility will double Source Photonics’ capacity of Indium Phosphide (InP) lasers and related components. The fabrication plant includes a fully integrated laser chip production capability, high-precision TO operations, and an advanced R&D facility to support the company’s global technology roadmap and regional customers. Its chip capabilities include base wafer, regrowth, and chip processing, while its TO operations will support the advanced requirements emerging for high-speed PON and 5G markets. The Jintan facility augments the company’s existing fab in Hsinchu in Taiwan, which has itself doubled its output over the past three years. Recent investments in the Taiwan facility include significant expansion in MOCVD and advanced coating technologies. The Taiwan facility also recently completed expansions to support transceiver assembly in support of customers’ demands for resiliency in their supply chains. Source Photonics said its manufacturing prowess is a key advantage in the optical communications industry in which a majority of manufacturers are fabless. “These new investments support our integrated manufacturing approach which is critical to meeting the ever-growing needs of our customers” said Doug Wright, CEO. “Managing the entire value chain from laser production through transceiver assembly gives SP differentiated capability that enhances speed to market, yields manufacturing innovations, and offers flexibility our customers demand”. Qualcomm introduced the first commercial 5G PC Platform, powered by its Snapdragon 8cx 5G compute platform and its Snapdragon X55 5G modem. The premium thin and light PC will take advantage of the multigigabit capabilities of new 5G networks. Qualcomm said its Snapdragon 8cx 5G platform will extreme performance, extreme battery life, and extreme connectivity. Snapdragon 8cx 5G platform promises multi-day battery life and multi-gigabit connectivity, in new thin, light and fanless designs. The company predicts that with the introduction of Snapdragon 8cx 5G, private 5G small-cell networks will proliferate in the enterprise. Bharti Airtel has selected Ciena to build one of the world’s largest photonic control plane networks in India as part of Project Leap, its network transformation program. Airtel’s new backbone network will support its rapidly growing 4G/5G/FTTH architectures, making the most efficient use of available fiber resources. The upgraded back will be capable of re-computing and re-routing traffic based on available network resources. 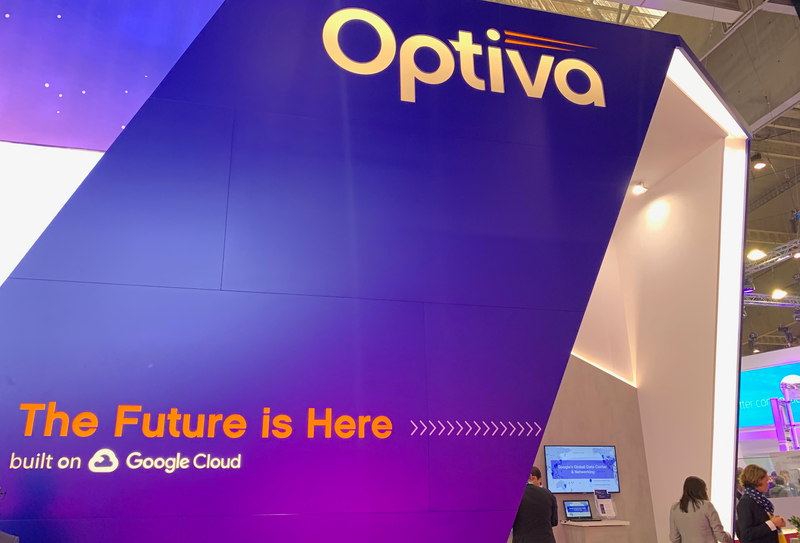 Optiva's end-to-end BSS solution is now available on Google Cloud Platform (GCP). ost of ownership (TCO) by leveraging the auto-scaling capabilities of the public cloud. 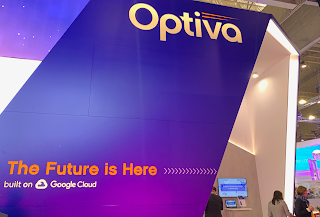 Optiva said its BSS suite is ideally suited for CSPs looking for a solution that is quick to deploy, easy to upgrade and runs natively in the cloud as a turnkey solution. The LF Deep Learning Foundation (LFDL), a Linux Foundation project, has launched the Pyro project, started by Uber, as its newest project. Universal: Pyro can represent any computable probability distribution. Scalable: Pyro scales to large data sets with little overhead. Minimal: Pyro is implemented with a small core of powerful, composable abstractions. Flexible: Pyro aims for automation when you want it, control when you need it. This is the second project LF DL has voted in from Uber, following last December’s Horovod announcement. Shenzhen-based FIBOCOM Wireless introduced an Intel-powered 5G module for vertical applications in global markets. FG100 is a multi-mode 5G module that includes EN-DC (LTE+5G), 5GNR-FDD/TDD, LTE-FDD/TDD and 3G WCDMA, supports 5G Sub-6 GHz internally, and mmW through an external antenna module. The module supports peak downlink speeds of up 6Gbps on mmW and 4Gbps on Sub-6 GHz. Partners including D-Link, Gemtek and VVDN will deliver gateway platforms using the Fibocom L860 gigabit LTE M.2 module with plans to upgrade to the FG100 5G M.2 module when available. Sampling is expected this year, with commercial availability in 2020. Telefónica and Microsoft outlined a strategic partnership to leverage the Microsoft Azure AI platform alongside the Telefónica global network to design services telcos will offer in the future. Specifically, Telefónica and Microsoft will expand the use of Azure Cognitive Services for customer engagement and business processes, create new AI-powered, in-home experiences for customers and explore the use of intelligent technologies to transform the network. Ericsson agreed to acquire Kathrein’s antenna and filters business. The purchase price was not disclosed. Preliminary and unaudited revenues from the acquired part of Kathrein were approximately EUR 270 million in 2018, excluding sales to Ericsson. Kathrein, with headquarters in Rosenheim, Germany, founded in 1919, specializes in antenna and filter technologies and is an existing Ericsson supplier. The antenna and filters business has a strong R&D organization with extensive experience in antenna design and research, coupled with a strong IPR portfolio. In addition to broadening Ericsson’s portfolio of antenna and filter products, the acquisition will bring vital competence for the evolution of advanced radio network products. The acquisition will add around 4,000 highly-skilled professionals in R&D, production, and sales based in more than 20 locations, including Germany, Romania, the U.S., Mexico and China. Qualcomm is introducing new wireless solutions for next-generation connected vehicles. The Snapdragon Automotive 4G and 5G Platforms feature integrated C-V2Xdirect communications, high-precision multi-frequency global navigation satellite system (HP-GNSS) and RF Front-End (RFFE)functionalities to support major operators across key spectrum bands globally. 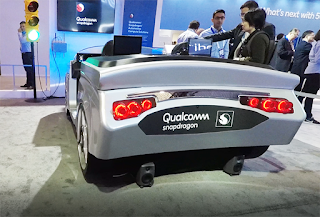 These capabilities enable rich in-vehicle experiences, including dual SIM dual active(DSDA)(included on the Snapdragon Automotive 5G Platform), precise positioning for lane level navigation accuracy, multi-gigabit cloud connectivity, vehicle-to-vehicle(V2V) and vehicle-to-roadside infrastructure (V2I) communications. The new SnapdragonAutomotive 4G and 5G platforms are expected to sample later this year and are planned for production vehicles in 2021. A team of researchers from Infinera has achieved new benchmarks for efficiency for transatlantic fiber optic cables. By employing 16QAM modulation on the MAREA transatlantic cable, the researchers generated signal speeds topping out at 26.2 terabits per second, a 20 percent increase over what the cable designers originally thought feasible. By comparison, the most common way signals are modulated for MAREA today only reaches 9.5 terabits per second. The test marked the first time PM-16QAM signals were sent such distances. The 6,605-km MAREA cable came online last year and is made of eight pairs of optic fibers, with each pair designed to carry 20 Tbps. The paper will be presented at the upcoming Optical Fiber Conference and Exposition, held 3-7 March in San Diego, Calif., U.S.A.
“In an optical fiber, it’s desirable to carry more data per second, which we call the fiber capacity, and also to be able to send the signal over longer distances, which we call the optical reach,” said Dr. Pierre Mertz, an author on the study. “In simple terms, if you try to push the limits of fiber capacity you will reduce the reach. The biggest challenge is that the system was operating very close to the Shannon Limit, or the theoretical maximum information transfer rate for a communications channel, according to Mertz. "That means that every gain we make becomes harder and harder,” he said. BT will deploy Ciena’s Waveserver stackable data center interconnect (DCI) platform to increase the capacity connecting its data centers to the UK’s main Internet peering nodes. 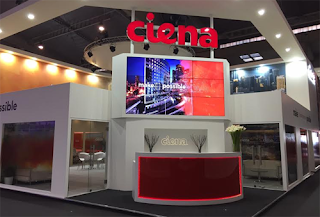 Ciena said its Waveserver enables BT to quickly, reliably, and more economically turn up larger and multiple low-latency connections to its data centers. Waveserver supports high-speed data transfer, virtual machine migration, disaster recovery and backup between data centers. To support its network automation and orchestration goals, BT will also deploy Ciena’s new domain controller: Blue Planet Manage, Control and Plan which will enable BT to introduce the Waveserver quickly and easily. The worldwide Mobile Infrastructure Radio Access Network (RAN) market surprised on the upside and performed better than expected for the full-year 2018, according to a new report from Dell'Oro Group. Huawei, Ericsson and Nokia were the top three vendors for 4Q18 and 2018.